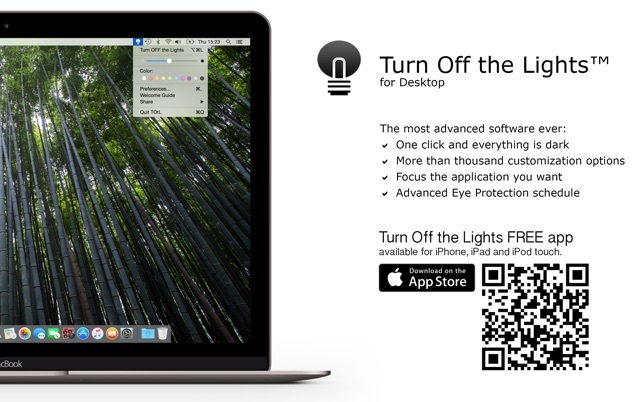 Turn Off the Lights for Desktop is a powerful, helpful app to dim your whole desktop and protect your eyes at night. Turn Off the Lights for Desktop allows you to work, play in a dark environment without damaging your eyes. 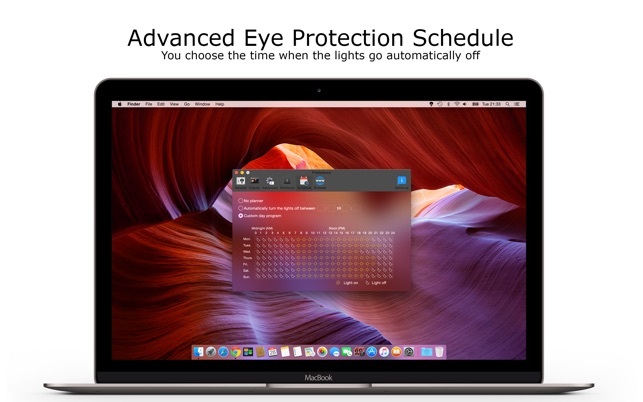 And helps you to reduce eye strains and radiation by breaking the brightness limit of your screen settings. The simplicity in this app let’s you dim the screen with one click on the lamp button. And two finger click, you get a quick settings menu to change the color and the opacity value of the dark layer. Turn Off the Lights has helped more then 2 millions users on the browser platform such as Google Chrome, Safari, Firefox, Opera, Maxthon, Yandex and Microsoft Edge. 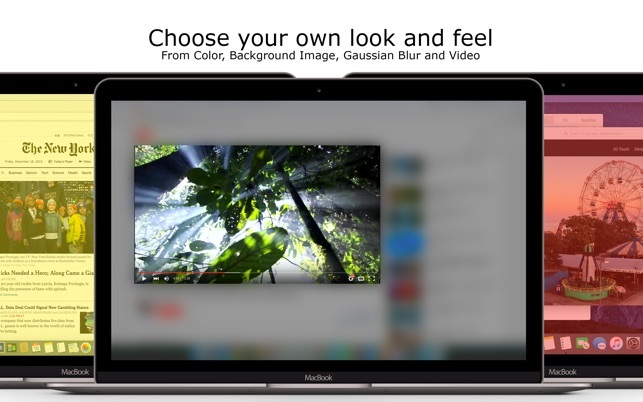 It’s an unique browser extension that create an comfort video watch experience in your web browser. That works on YouTube, Vimeo, Dailymotion, twitch.tv, Youku, etc. 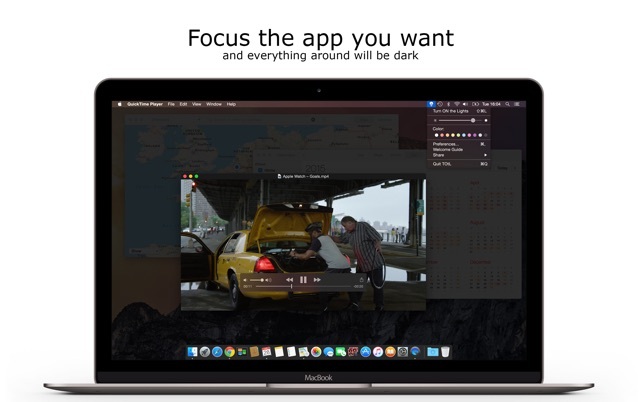 Turn Off the Lights is designed and engineered from the ground up for the macOS Sierra. Working people, journalist, educators, students and anyone can use this app. It will make the screen much more comfortable to use at day and night. 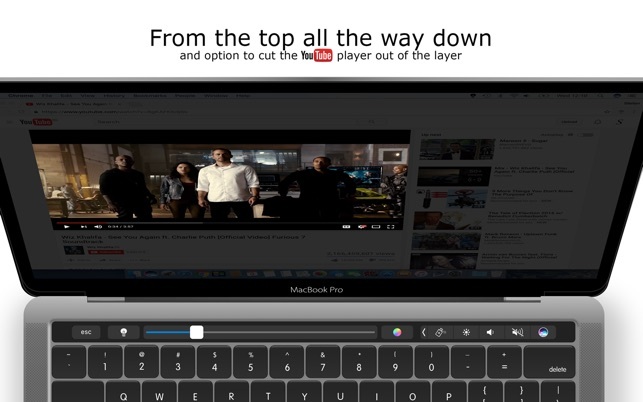 This extension dims everything in the background, so you can enjoy the video you’re watching without any distractions. Turn Off the Lights is available in the Safari extension gallery. If you have any feedback or questions, we’d love to hear from you! Turn Off the Lights offers free support. You can reach us on Facebook TurnOfftheLight, or on twitter at @turnoffthelight. 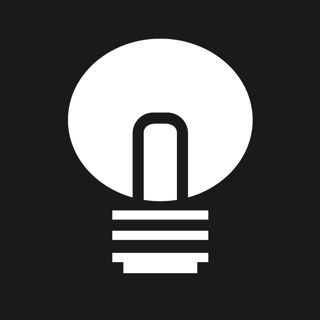 You can also read our User Guides or browse our FAQs on https://www.turnoffthelights.com/support. Kind of app you imagine apple buying or copying in the future and giving a catchy name to. It doesn’t pop up on top of my Macbook screen can you help me please :( i don’t see that little lamp. Do you still have this issue with the latest 'Turn Off the Lights for Desktop' Mac app?